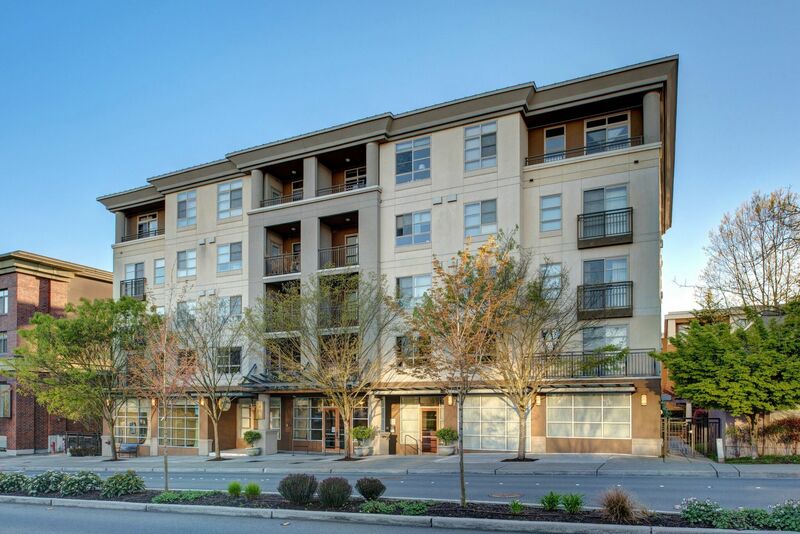 Offering abundant amenities, a great location, and deluxe features, Belle Arts condominiums in Bellevue, Washington presents an exciting real estate opportunity for homebuyers interested in purchasing a condo in downtown Bellevue, Washington. Located just a short walk away from wonderful downtown Bellevue, Belle Arts offers a gorgeous courtyard, spacious floorplans, and an extraordinary living situation to homebuyers who want to enjoy the lively urban setting Bellevue presents. Buy a new condominium in Belle Arts and look forward to taking advantage of all the marvelous city of Bellevue has to offer. While the condominiums in Belle Arts are incredible and inviting, the available amenities in the complex and surrounding area are simply superb. Belle Arts features a state-of-the-art fitness center, a barbecue area, an exciting billiards room, and wonderful proximity to downtown Bellevue. Buy a home in Belle Arts and enjoy unique dining options like Facing East Taiwanese Restaurant, or 520 Bar & Grill. Homebuyers will enjoy plentiful shopping opportunities in downtown Bellevue, with everything from shopping malls to specialty boutique stores available. Outdoor enthusiasts can look forward to enjoying numerous parks, or if they want an adventure can take a short drive outside of town where opportunities for sightseeing and hiking are abundant. The lifestyle that purchasing new condo in Belle Arts provides is truly exciting and unique, a one-of-a-kind opportunity for homebuyers interested in the real estate options in Bellevue. In addition to amenities and proximity to dining, recreation, and shopping, Belle Arts also offers a fine assortment of condominiums. Available units include a variety of floorplans, so homebuyers can select the one that best fits their living space needs. Belle Arts features condos ranging in size from 416 square feet to 1,100 square feet, with studios, 1 and 2 bedrooms available. Homebuyers from almost any demographic will find a condo in Belle Arts that satisfies their needs. Buy a condo in Belle Arts and look forward to taking advantage of all the complex and community has to offer. Those interested in taking advantage of the exciting real estate options that Belle Arts in Bellevue, Washington presents should not hesitate to contact us today for more information or with any questions they might have regarding Belle Arts homes for sale.